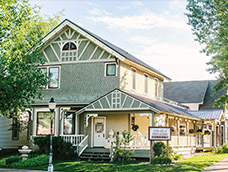 CMC and the Library attribute much of their success to the Steamboat Springs community that has long embraced education, arts, and culture from the town�s beginnings. 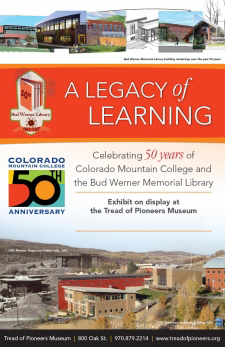 The pioneer efforts to establish the town�s first schools and library are a testament to the commitment and fortitude required for the foundation of our early educational establishments in rural Northwest Colorado. 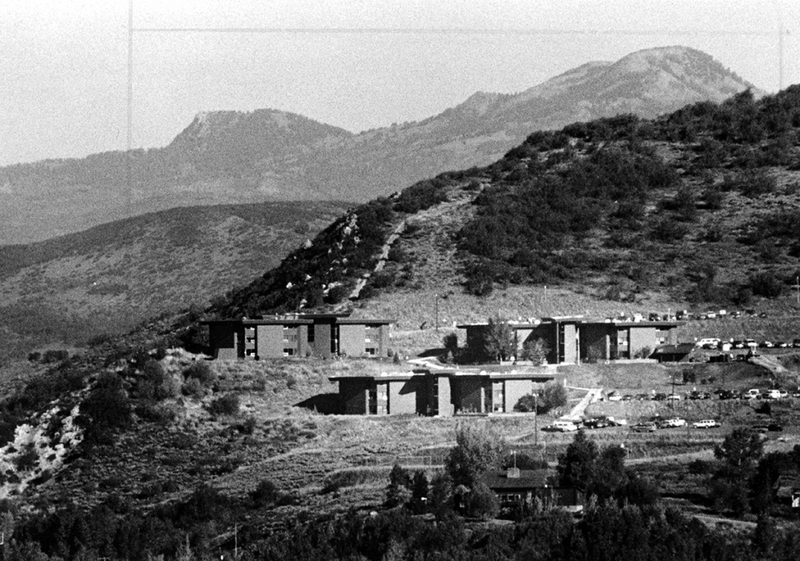 Today, the Steamboat Springs community enjoys the fruits of a 50-year history of the local library and college and their unique services and programs that helped shape our extraordinary mountain town. Steamboat Springs� Olympic tradition is second to none. Boasting more winter Olympic athletes than any other town in North American, our Olympic heritage runs strong and deep. To honor all of our local Olympians who represent Ski Town USA� on the world stage, the Tread of Pioneers Museum and the Steamboat Ski Resort have partnered to produce an Olympian tribute display on the second floor of Thunderhead (upper gondola building) at the Steamboat Ski Area. The exhibit tells the story of the competitive spirit and quest for excellence that began with Norwegian ski jumper, Carl Howelsen. Exhibit features include our local �History Makers� who have accomplished a high area of achievement in their sports or contributed greatly to the sports heritage of Steamboat Springs. They are the elite class of athletes who are pioneers in their sports, or medaled for team USA, and most are members of the National or Colorado Ski and Snowboard Hall of Fame, or both. Another major segment of the exhibit is the �Olympian Spotlights� which is designed to be interchangeable to feature various Olympians in the future. As Olympic competitors make Steamboat Springs their home or return here to coach the next generation through the Steamboat Springs Winter Sports Club, our Olympic heritage and passion for winter sports continues to thrive to this day.